I’m a born and bred Islander and my parents are currently Mayor and Mayoress of the Island and also run various community Projects. Although being very connected to the local community, being of Italian descent we decided to trace our family roots, a move that would see us follow the family tree filling in missing gaps and ultimately lead us back to the small hillside town of Arpino set in the picturesque province of Frosinone Lazio, 1hr 30 mins South of Rome. After working in the hustle and bustle of London for 10 years, I felt it was time to take on another challenge but with a different pace and lifestyle. I love property and after my visit to Arpino in August 2018 for the amazing Gonfalone festival (more on this later), which was supposed to be a routine holiday with my father and my Girlfriend, I left with a property offer in place and a motivation for something new. I love to travel, I speak reasonable Portuguese after spending time in Brazil while a friend was starting his business. This was an inspiring time to me and I believe has led me to this point in my life, Moving forward I have started learning Italian to integrate into my new home town and will be keeping you up to date with my progress! There will be plenty of Photos, updates, Sun and wine! 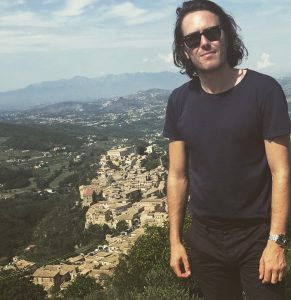 as I spend my time in Italy and I’d really like to help people if they have any questions whether it’s looking to buying a home in Italy and the process to suggesting good places to stay, restaurants, sight-seeing and more. Enjoy my Story and please get in touch.